It’s paradoxical – you might now be asking whether or not you should follow this tip, since I’m suggesting that you follow your own intuition rather than MY advice. Nevertheless, when it comes to building your brand online through Web 2.0 platforms, it is important that you think about your own internet business rather than the generic business that experts have in mind when they write guides like this. Sure, you can use other’s people words as guideline. However, you must always have a firm opinion of your own. If you find any advice that conflicts with the brand you want to create for your internet business, then you should go with your own ideas rather than misapplying advice that may be useful for other business models but not your own. Everyone says you should be on Facebook and on Twitter. However, those may not be the best media for you to use; there might be better places where your real target customers hang out. 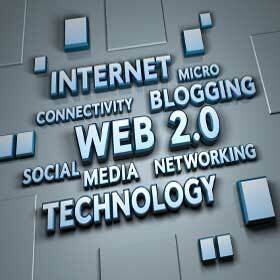 Everyone says you should promote through Web 2.0 this way or that way. However, maybe you have OTHER ideas that fit your market better and thus provide you with better results. That said, you must never hesitate to try something different! Don’t just listen to what other people say; be your own man and don’t hesitate to do things your own way! That is the key to real long-term business success.